There is nothing quite as relaxing after a hard day at work as a walk along the coast. 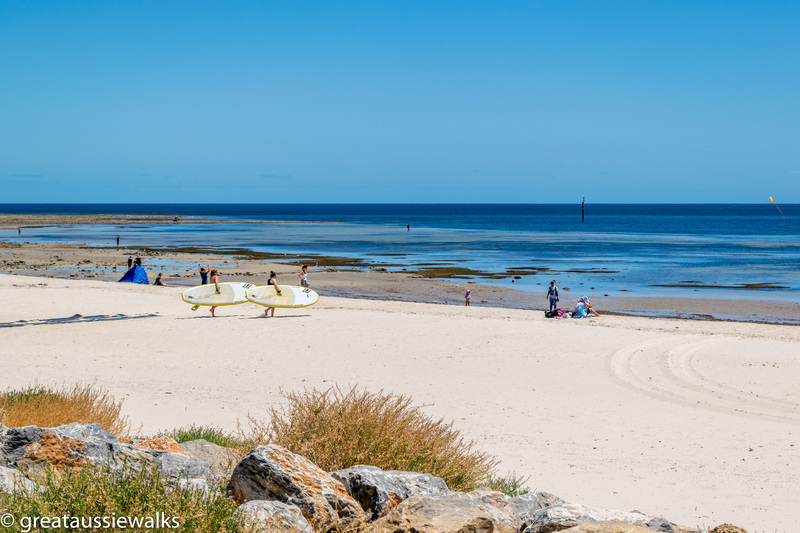 Adelaide beaches offer a variety of walking trails, a family favourite starts at Glenelg. Walking the dog, pushing a stroller or walking with family or friends, along the 4.2 km Glenelg to Brighton walk provides a scenic and easy trail along the coast, passing some iconic landmarks of Adelaide. Located on the Holdfast Bay shore in the Gulf of St. Vincent, the popular beachside suburb of Glenelg, with an assortment of hotels, cafes, restaurants and attractions has evolved from the early settlement days of 1836. Moseley Square, now an area where children gather to play in the fountain in the warmer months, was named after an early councilor who supported the construction of a railway line to Glenelg. 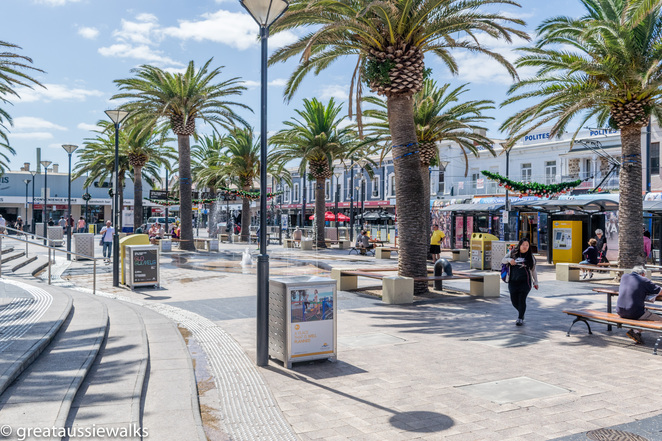 Situated between Jetty Road and the beach, the Square, home to the Town Hall, the Jetty and the tram station. It is a place where old and new meet forming part of the character which makes the square a favourite place for people to relax. The old town hall, originally the Glenelg Institute, opened in 1877 as a lecture theatre, concert hall and library. Today it houses restaurants and a museum. 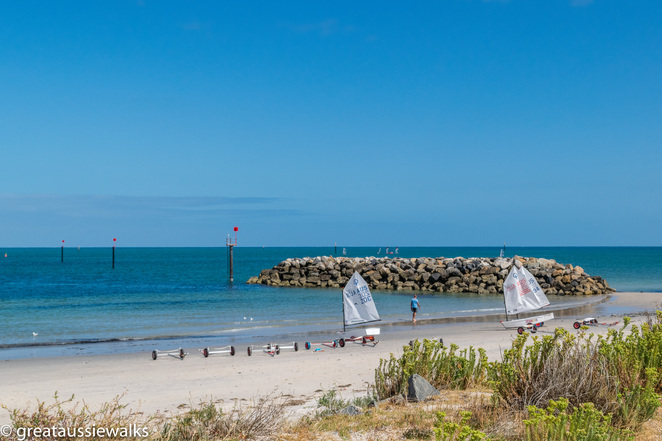 Near Moseley Square is the Glenelg Jetty, built in 1969, where beachgoers can enjoy a stroll along the 215-metre jetty and fishers can often be seen casting a line. 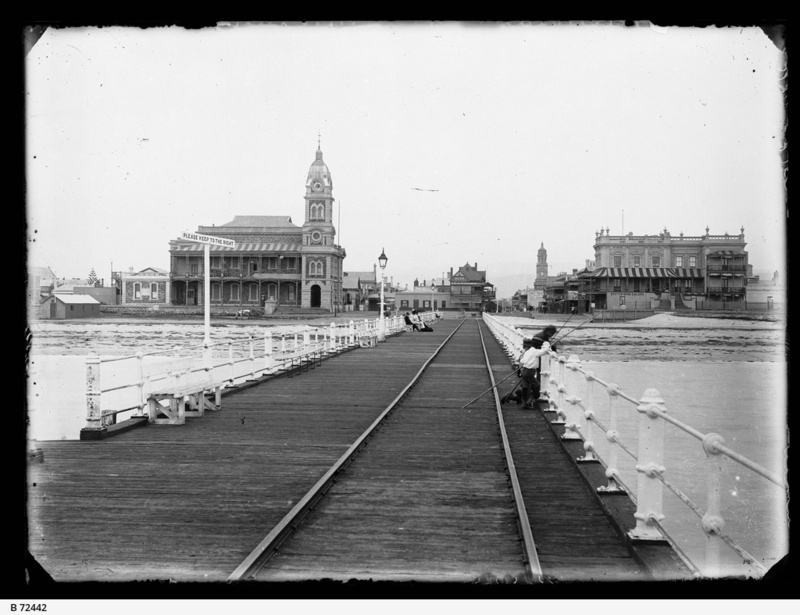 The current jetty is only two-thirds of the length of the original jetty, which was built in 1859. 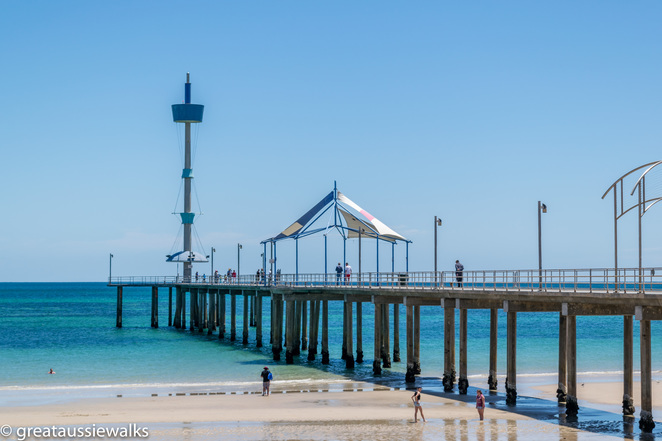 The original jetty was used by fishermen, as well as accepting cargo from ships and as a departure point for passengers from Glenelg to Kangaroo Island. The lifetime of the first jetty was filled with misfortune. The lighthouse built in 1872, was destroyed by fire in 1873. The lighthouse was replaced in 1874 and later public baths, an aquarium, police shed and a three-story kiosk were added. 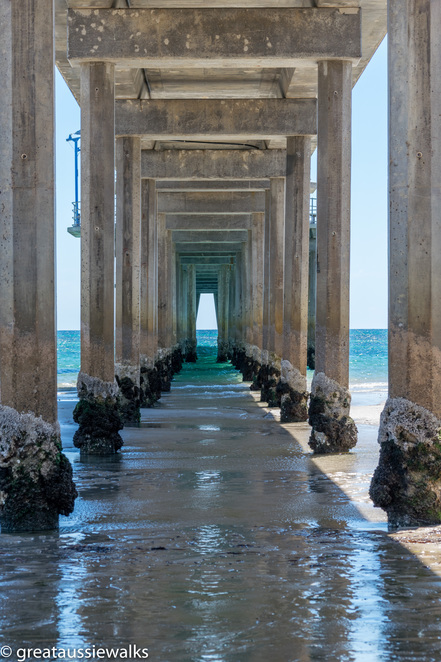 Unfortunately, the kiosk was destroyed in a storm in 1943 and the jetty badly damaged by a cyclone in 1948, resulting in the structures being demolished for safety reasons. The Ferris wheel and the Beach House are also prominent features of the Glenelg foreshore. Originally the site of Luna Park Glenelg in 1930, before being placed into voluntary liquidation in 1934, the Magic Mountain complex was built as a replacement amusement area. Featuring water slides, dodgem cars and other amusements this became a popular place before being replaced in 2004 by the current Beach House. 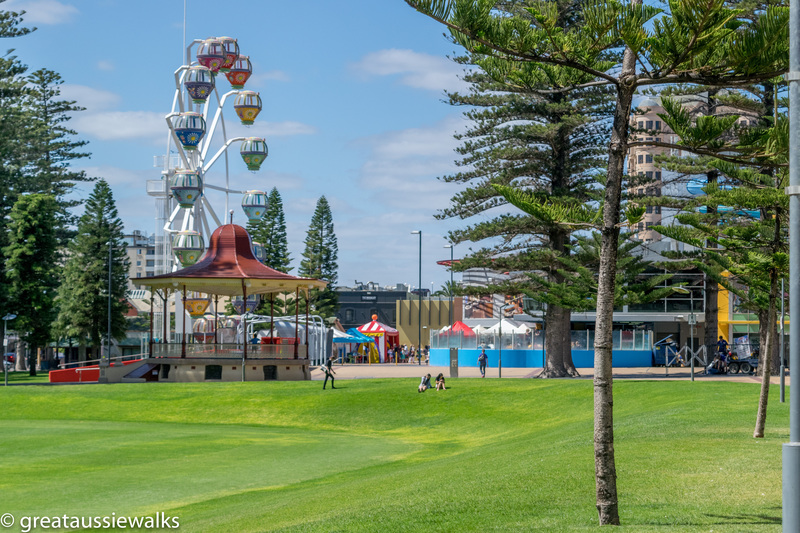 Leaving the amusement park and the high rise buildings of Glenelg, the trail begins the mostly flat path to Brighton Beach. The trail, which can be walked along the sealed path or along the sand, has numerous playgrounds and picnic areas along the way. Information signs provide an insight into the conservation programs which are in progress along the coast. 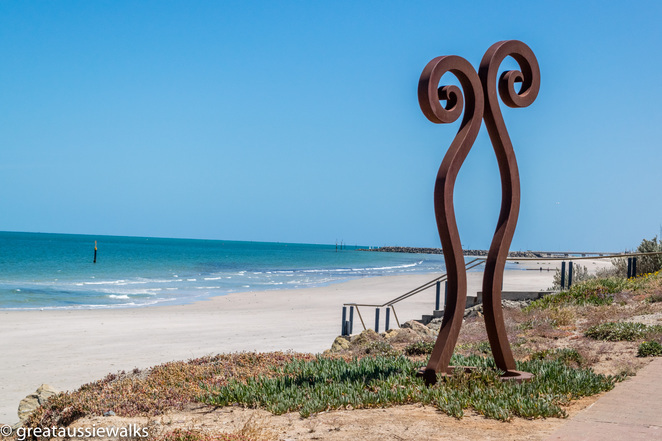 Sculptures scattered along the coast, make interesting features set against the sea and form part of an annual sculpture exhibition held in conjunction with the Brighton Jetty Classic Swim. This trail, which forms part of the Coast Park walk from North Haven to Sellicks Beach, has a small section, which does not have a sealed path. Depending on your mobility and motivation, you can walk that short section along the beach or alternatively walk back toward the road, along the road and back down to the beach to continue. The trail continues past the Somerton Surf Life Saving Club. Founded in 1960, the area is a hive of activity for members, kayakers and boat enthusiasts. In the distance, the Brighton Jetty, with its mobile phone tower at the end, can be seen. The original jetty, built in 1886, battered by storms for over 100 years before being badly damaged in 1994 and later rebuilt. 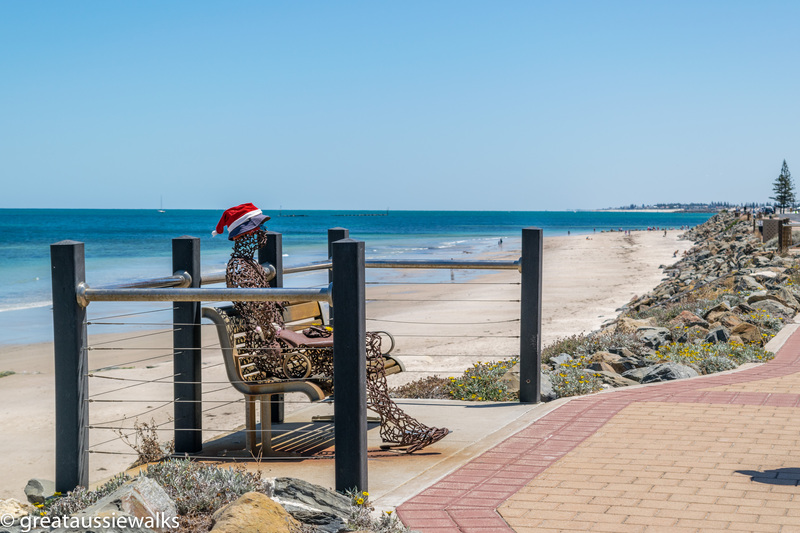 At the shore end of the current jetty, is the War Memorial Arch, where Dawn Services are held on Anzac Day to commemorate fallen service men and women. 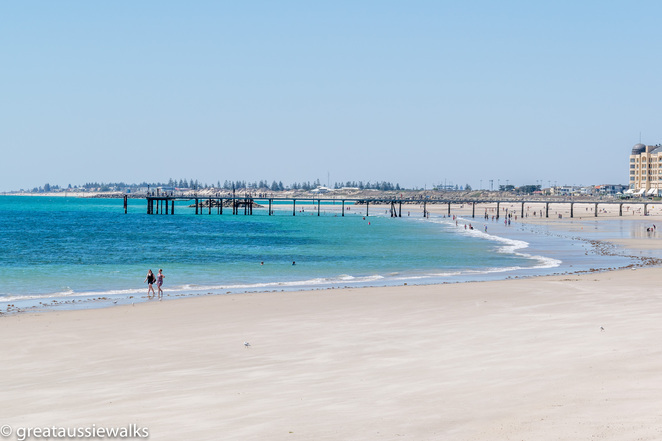 The beach, patrolled by the Brighton Surf Lifesaving Club on Weekends and Public Holidays between March and November, is undergoing a sand replenishment program. Designed to increase the beach sand dunes, the program replaces eroded sand and replants the dunes with grasses and plants. Before the return journey back to Glenelg, lunch or coffee in Brighton is available on Jetty Road, from a variety of cafes. The very well patronized A café etc., decorated with everything Marilyn Monroe, offers an extensive range of light meals, and beverages. 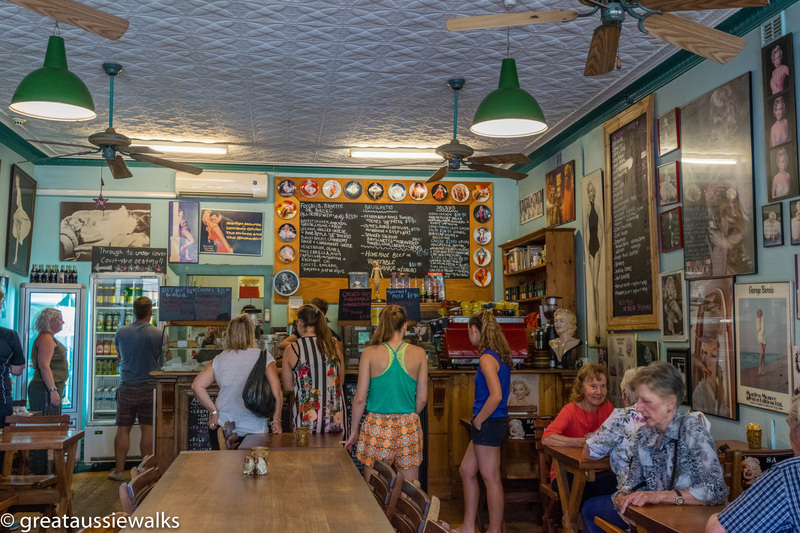 The Esplanade Hotel, also known as the Espy, offers café and bistro meals. This is an ideal trail for individuals and families, and suitable for dogs on a lead. Remember to bring water, for yourself and your dog, and sun protection, as shade is intermittent along the trail. 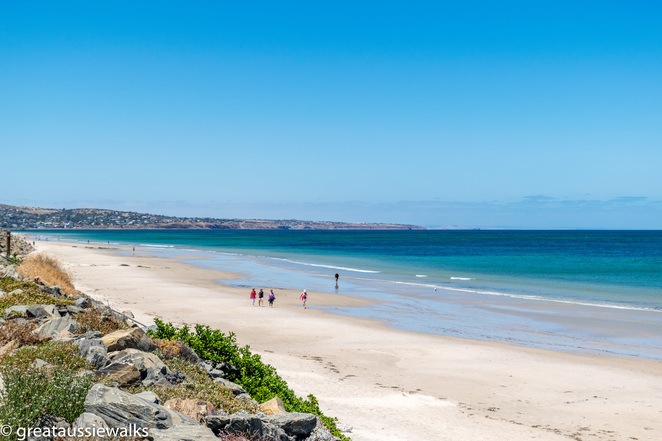 The walk is will take about an hour each way, depending on how long is spent admiring the scenic coastal views and watching the variety of aquatic activities in progress along the beaches. I remember it well - I certainly have been there recently, but it was my "playground" many years ago. Thank you for bring back good memories.